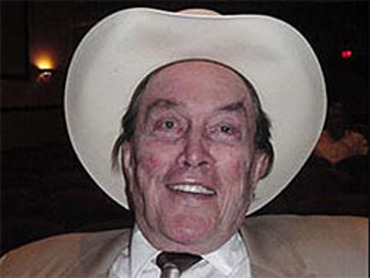 Country music singer and business entrepreneur Jimmy Dean has died at the age of 81. The country music legend, singer, television host, actor, and businessman died Sunday night inside his Henrico, Va., home overlooking the James River, reports CBS station WTVR in Richmond. "I definitely need my privacy right now, and am not available for interviews. My husband died of natural causes, and funeral services are pending." Donna Dean told the station her husband died at 7:54 p.m. Sunday night. She told The Associated Press that he had some health problems but was still functioning well, so his death came as a shock. She said he was eating in front of the television. She left the room for a time and came back and he was unresponsive. Four months ago, Dean, who had a number one hit "Big Bad John" in 1961, was inducted into the Country Music Hall of Fame. Sara Lee has said that it chose not to renew Dean's contract because the "brand was going in a new direction" that demanded a shift in marketing. Dean became a headliner at venues like Carnegie Hall and the Hollywood Bowl and became the first country star to play on the Las Vegas strip. He was the first guest host on "The Tonight Show," and also was an actor with parts in television and the movies, including the role of James Bond's ally Willard Whyte in the 1971 film "Diamonds Are Forever." In the late '60s, Dean entered the hog business - something he knew well. His family had butchered hogs, with the young Dean whacking them over the head with the blunt end of an ax. The Dean brothers - Jimmy and Don - ground the meat and their mother seasoned it.